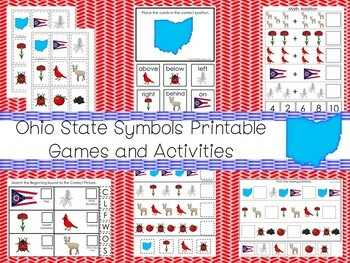 30 Printable Ohio State Symbols themed Learning Games Download. ZIP file. One of our premium printable 50 States curriculum package downloads in PDF files stored in Zip files. 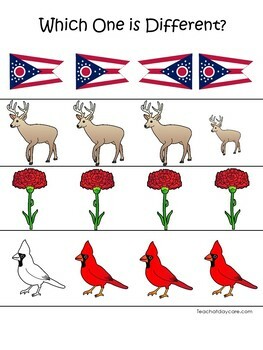 30 Ohio State Symbols themed printable educational learning games and activities in PDF files stored in zip files. You can access the PDF files with any PDF file reader program including the popular Adobe Reader and zip files with any Zip file reader program. 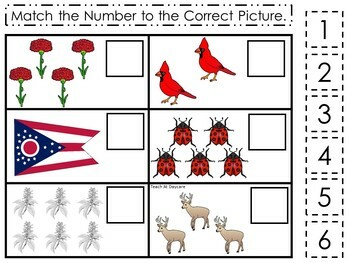 You are purchasing over 30 printable pages of the Ohio State Symbols themed preschool curriculum games and activities in PDF files stored in Zip files in a download. 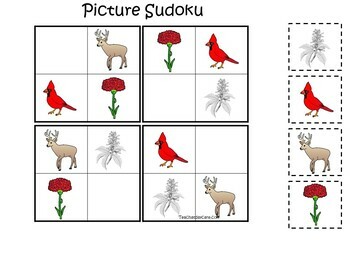 1 Positional Game prints 1 page.